Companies such as retailers and automobile manufacturers have slowly been imposing stricter delivery windows. They realize that early and late arrivals affect their bottom line, customer satisfaction and increase the risk of theft. Many have fines in place for missing the target date period. 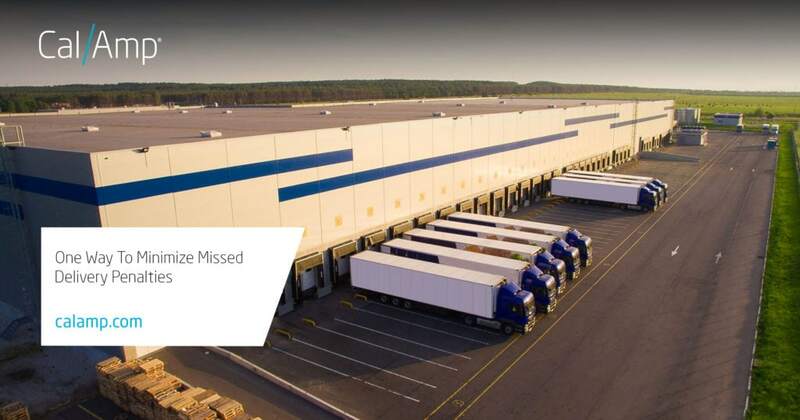 For example, in July, Wal-Mart notified its suppliers of the new “Must Arrive by Date Compliance” protocols or incur a 3% cost of goods penalty. What can you do to minimize your risk of missing these arrival dates? Let’s take a look at an example. Your consumer goods firm won a contract to supply a large retailer. To fulfill orders across the U.S. from your domestic and international partners, you employ various transportation modes (rail, ship or truck). One of your shipments gets hung up in Georgia due to a road collapse or in California due to a landslide. As a result, the cargo misses its delivery window. Your company is assessed a penalty; say Wal-Mart’s, which is $15,000 on a $500,000 cost of goods sold, unless you qualify for an exception, such as an “act of God” incident.. This fee is not easily absorbed so you look at ways to make your supply chain more efficient. You need more information than when a load leaves your manufacturer and arrives at the retailer’s warehouse or store, and then track with real-time visibility where, when and how a delay occurs. This is where IoT applications excel. An in-transit monitoring solution, such as CalAmp SCI’s SC iOn Command and smart sensors, allows you to track regardless of mode. The sensors transmit location and other data back to the software or even a surveillance command center. Any variances due to traffic, weather or unscheduled movements that may cause risk or delay provide alerts allowing for re-routing, verification of location and possible remedial action and notification. Let’s consider the improved process. Your firm implements the CalAmp system. The responsible 3PL encounters flooding in Missouri. You are alerted via the SC iOn Command Portal allowing your logistics firm to find a better route, locate a closer resource as a replacement or even update your arrival date with the retailer (if permitted). The cargo is delivered within its appointed timeframe and no penalty is incurred. An integral part of the SC iOn Command Portal is continuous data feed on shipment location that the retailer can use to check on shipment status if needed. Early and late arrival shipment reports are also available to assure performance is documented and reported. A wise investment helps reduce the chance of unexpected penalties which are a hit to your bottom line. The technology also provides more than simply location, but cargo condition as well. You are notified if there are changes in temperature, humidity, light, movement and shock (from being dropped). For example, one over-the-counter pharmaceutical company suffered an expensive loss due to mold from wet pallets. Employing sensors to ensure quality compliance can be integrated to avoid these issue. Adding an IoT solution to your supply chain management helps your shipment stay on schedule and within any “must arrive” parameters. If you would like more information about CalAmp Supply Chain Integrity, please visit our page here or watch our short video here.